The Scorpio man is unlike any man of any other astrological sign. Scorpios, including men, are very deep and intense people. Understanding a Scorpio man is important in carrying on any type of relationship with him. If you are willing to deal with a Scorpio man, then you will have a loyal friend. If you are the right type of woman, then you can keep a Scorpio man in a relationship and have one of the most intense loves ever. Scorpio men are passionate about everything they do. Learn your Scorpio man's strengths and weaknesses. His strengths include being loyal, passionate, resourceful, observant and dynamic. His weaknesses include being jealous, unyielding, manipulative, suspicious and obsessive. Understand that a Scorpio man is intensely independent. He will most likely never give up on something that he's set his mind to. He prefers to be in control of situations, and this includes what happens at home. To keep the Scorpio man happy, let him have his independence. Do not tell him that he is incapable of anything. Understand that a Scorpio man will be perfectly suited in a position that will greatly impact people or society. 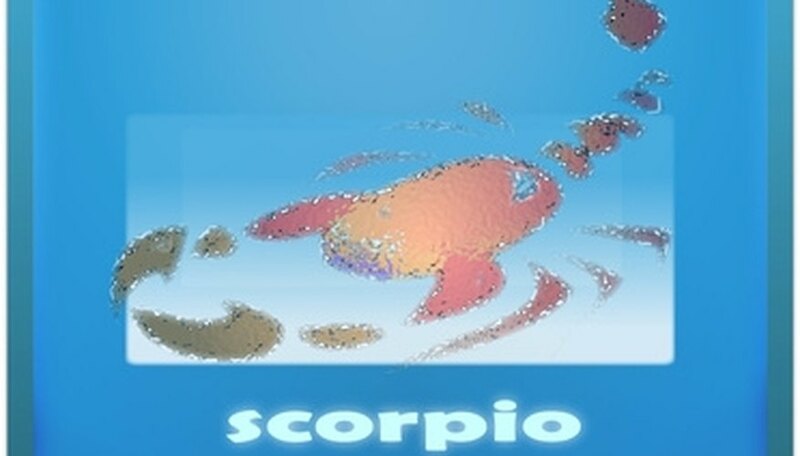 The Scorpio man will usually be very good with money, having the ability to make it and conserve it. He will often remain secretive of his money and power, if nothing else to ensure that no one tries to take advantage of him. You must be willing to put up with a Scorpio man's quest for power positions. Remember that a Scorpio man is just a series of extremes. There is usually no halfway mark. The Scorpio man can be possessive and jealous, but he makes up for it with loyalty. He will never forget something that someone has done, whether it is an act of kindness or betrayal. He will often try to repay the act as well. If someone has wronged him, he will seek vengeance. If someone has helped him, he will do his best to repay the favor. Be completely honest with a Scorpio man, because if you're not, there is a good chance he will find out, and you don't want to be on a Scorpio man's bad side. A Scorpio man is demanding in all of his relationships, but the payoff is worth it. Don't get offended by the Scorpio man's sense of humor. His sense of humor is often very truthful, but extremely shocking. He may joke about things that other people wouldn't say out loud. In a nutshell, the Scorpio man will say things that everyone else is afraid to say. Never forget that a Scorpio man is determined. Even if a course of action isn't working well, he can find another plan that will accomplish the same goal. He is even determined to always get his point across. He can spout facts and arguments that support his ideas. Be careful, though. He is also very capable of manipulation. An immoral Scorpio man will say or do just about anything to get what he wants. Understand that the Scorpio man has a fear of failure, but he will not let it show. If he fails in something, he will simply appear to brush it off and move on. Do not just assume that he is over something that would bother anyone else. The Scorpio man refuses to show weakness. Just remember that the Scorpio man will usually have a strong front, even if he's dying on the inside. Understand the Scorpio man all around. He is a man of intensity, in everything he does. When he's sad, he's sad. When he's happy, he's ecstatic. He will always believe that he has a deep purpose in life. He is dedicated to everything he sets his mind to. He is very intuitive and understands people very well. He can often decipher exactly what people mean when they say or do something, even if someone is trying to be manipulative. Never betray the Scorpio male. If you are just looking to play with someone's emotions, you should try a different sign. Make sure that you know your Scorpio male. You are getting into an unhealthy relationship if your Scorpio man uses his brains and intuitiveness for manipulation. Fease, Curtis. "How to Understand Scorpio Men." Dating Tips - Match.com, https://datingtips.match.com/understand-scorpio-men-2330637.html. Accessed 22 April 2019.